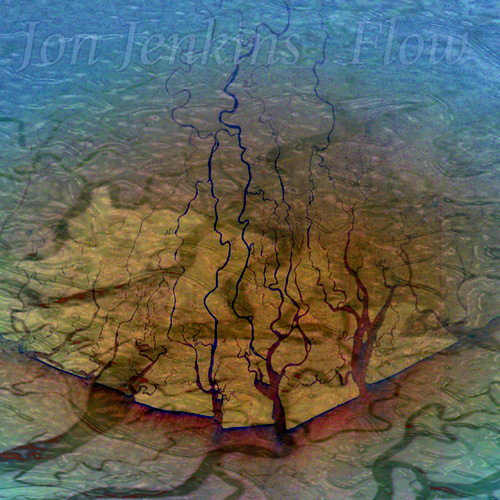 Jon Jenkins and Paul Lackey combine their engaging and highly visual styles to create intense atmospheres, dark sonic textures and ambiances, driving percussion, and rich symphonies of electronics, all of which seem to draw on the very themes of life itself in this sonic journey through time, space, and the mind. Continuum is a large-scale symphonic synthesizer effort from Jon Jenkins and Paul Lackey. It comes from the good folks at Spotted Peccary Music. This is a very dramatic and energetic set of melodic compositions. 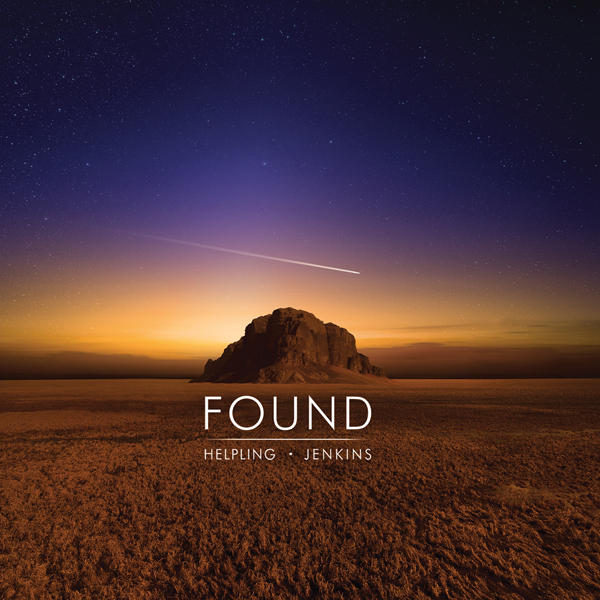 Jenkins and Lackey are on top of their game with this grand soundscape. They have created very subtle and intricate atmospheres to surround the symphonic synth passages. Very subdued samples add realism to the arrangements. But the drama dominates the soundscape. Lackey and Jenkins build walls of sound that lead to a series of crescendos and, ultimately, to fitting climaxes. The atmospheres are part of the denouement. This is essential new age music. It will appeal to fans of Greg Klamt, Constance Demby, Kevin Keller, and John Flomer. 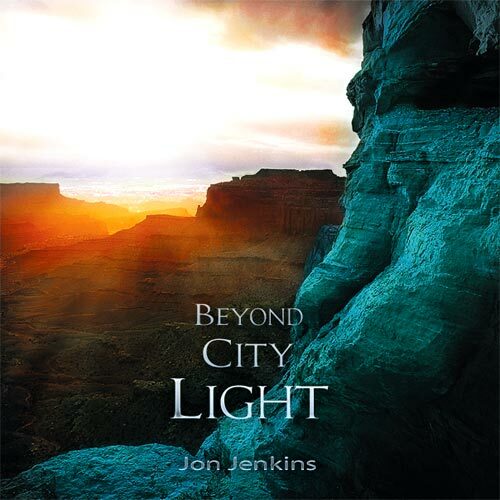 Jon Jenkins proves one more time that he is one of the unquestionable electronic musicians of our decade. The magician (here with Paul Lackey) shows all his abilities with keyboards. Continuum offers us great textures (listen to the incredibly atmospheric first theme), ambient soundscapes and powerful percussion. A real feast for lovers of modern electronic music. 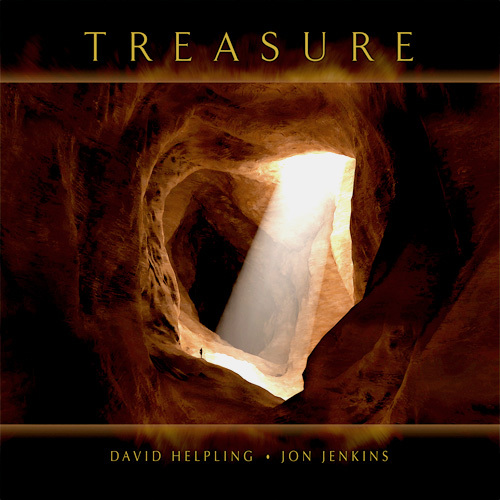 The album, with 11 themes, has been composed by Jenkins and Lackey. Howard Givens and Teeto Cheema also have contributed with guitars, flute and additional keyboards. This is a great album of classical and space music influences which treads a fine line between both genres throughout. One aspect that reminded me of classical structure was the continuity of the opening and closing pieces. The last piece, ‘Continuum’ is a reprise to the opening string swells of the first piece, ‘Tugging at the Cloud.’ As a whole, the album reminds me of the work of Dutch Emusic composers, John Kerr and Ron Boots, leaning more towards John Kerr’s symphonic synth excursions. Two pieces, ‘Behind the Mask’ and ‘Adrift’ even feature the labels head honcho, Howard Givens on keyboards and guitar respectfully. Teeto Cheema adds a great deal of atmosphere to ‘The Vision’ with some well placed flute riffs in crucial spots. This collection of eleven compositions, is a successful marriage of classical, ambient, and world music that defies classification. Along with the added touches from their guests, Jon and Paul combine a variety of eclectic hues to create a compelling musical canvas. This talented duo are experts at communicating the galactic grandeur that music can offer the imaginative listener. Incorporating a mid-eighties-era Tangerine Dream electronic style as a base, all 11 songs on the album manage to direct themselves to intriguing aural destinations. For example, the brassy yet relaxing tones of ‘First Breath’ offer a tantalizingly temporal viewpoint, while the eerie, otherworldly sound of ‘To The Other Side,’ with its tinkling piano and flowing synths, is much more cosmic in nature. There is a spacial, orchestral quality to most of the work, and in virtually every song the listener is carried along towards a shimmering crescendo. This creates an alluring adventure that offers the audience captivating compositions with both ingenious instrumentation and mesmerizing melodies. Of all the SPM releases profiled here, ‘Continuum’ is by far the most dense, lush, and intensely symphonic. The material seems to focus on the essence of life, self realization and inner discovery. 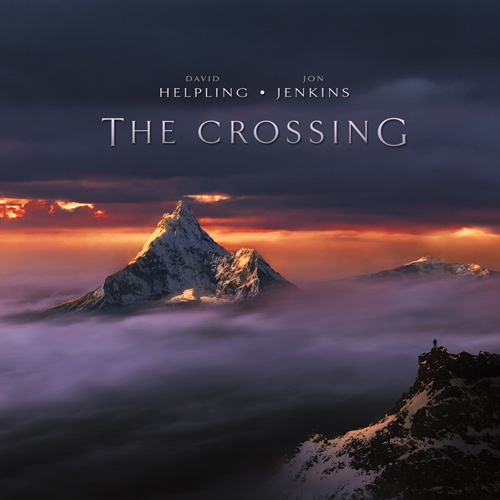 The compositional style reflects Jenkins' and Lackey's experience in soundtrack work, as most tracks are a journey from point a to point b, with little regard given to traditional structures. A few of the pieces, like ‘First Breath’ are a little leaner on the orchestration, yet still follow a similar approach in form. ‘The Vision’, embellished by flute courtesy of Teeto Cheema, perhaps points to some possible influences - most notably Tangerine Dream, and some of the late eighties artists on the IC label like Mind Over Matter. Following a more dark and mysterious path is ‘A Relic's Tale’, which features the album's most overt use of drums and other percussion, drifting through patches of warm symphonic sunlight along its way. ‘Adrift’ is a gentle pulsating fantasia that starts quietly and blossoms with power, then declines with a touch of guitar added. The closer (and title track) is another impressionistic dreamscape of monumental symphonic proportions, with main theme and variations flowing effortlessly toward the climactic conclusion - which fades down to the same sound that started the album, like turning the hourglass on the booklet cover. All I can say is that this one hasn't been out of my CD changer much since it arrived. Fifty-five minutes of relaxation. This is a journey that never ends. The definition that you come away from this album could be interpreted probably a thousand different ways and none of them would be wrong. It seems Jenkins and Lackey want to inspire the spark in all of us to make life interesting and exciting. This is an instrumental CD, so you come away from Continuum with your own ideas of what is all about. The musical feel is gentle pulsation from aquatic keyboard sounds, mixed with dramatic percussion and rounded out with bass synth lines. It's done with dynamic insight and performance. Spotted Peccary does not have a huge catalog of music, but what they may lack in terms of quantity, they more than make up for in quality recordings. The release of Continuum fits right into the line of quality music and is the debut album by Jon and Paul, who were introduced as Latitude 33 on the Tracks In Time CD I reviewed in my September 1994 column. Continuum is a great example of what I like to call ‘Big’ music; grand melodic themes that sweep you into another world full of mysterious shadows that resolve into breathtaking vistas, with seductive percussion breathing under keyboards and synthesizers and a hint of flute and guitar. Continuum could serve as a soundtrack to a travelogue of another planet with its neoclassical orchestral sound punched up with mid-tempo rhythms. Tracks that stood out for me include ‘Behind the Mask,’ ‘First Breath,’ and ‘A Relic's Tale.’ The cover art is an absolute knockout. It features an hourglass figure containing a Stonehenge image with water pouring down instead of sand, all partially buried in a desert landscape. ... Continuum is a most impressive debut album and will add an evocative atmosphere when played in the store. 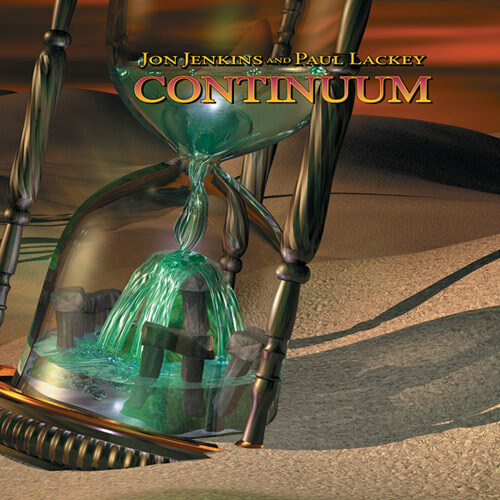 Continuum’, the only album to date by Jon Jenkins and Paul Lakey, comes in a stunningly beautiful fantasy cd-cover. 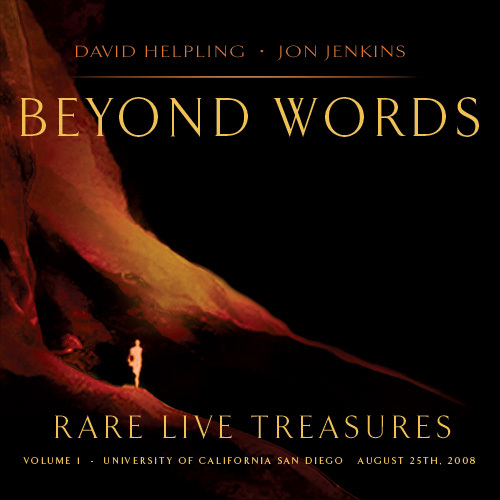 Shortly after its release, Dream’s Word magazine called it ‘the perfect marriage of classical, ambient, and world music that defies classification’. Well, the 55 minutes of highly visual and melodic music on this album is one radiating a great sense of wonder and adventure as it unfolds its enchanting content in an enthralling symphonic, orchestral style. Lots of strings pads, bass patterns and driving percussion that kick in at the rights spots, although there’s also room for more quiet, atmospheric musings. Although one can hear the music has certain characteristics of other instrumental music release on the same label, there’s enough originality found here as well, sometimes even a slight touch of Richard Burmer. This said, I agree on the duo’s description of the outcome as to draw on the very themes of life itself in this sonic journey through time, space, and the mind. All in all, this well produced music can be a portal to step into another imaginary world, offering a nice balance between space and power.